Before we start, I feel I must tackle that Elephant in the room !! You know the one – rude and inconsiderate motherfuckers who talk throughout a gig who truly believe everyone around them is there to hear THEM and not the music. 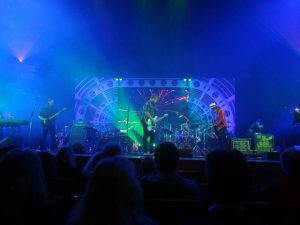 So, there I was, obviously sat enjoying Hawkwind when two Neolithics behind me starting whooping and shouting in-between songs – “Turn It Up, Turn It Up !!”. Now, if you’ve been to the Symphony Hall you will know that the acoustics in there are superb and if you can’t hear the music then basically, you must be bloody DEAF, so I really couldn’t understand why they would want it “turned up” but there you go. Anyway, during the songs, there they were, chatting away totally oblivious of all and sundry and tbh, I suffered their intrusion for a while, but after a few evil stares with no obvious reaction, I felt I needed to say something, so risking a verbal assault I turned round and said “Can you do me a favour guys and keep it down ? 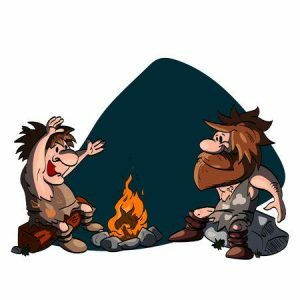 ?” At which, the one said “sorry” a number of times and, so I thought, that was that….. Ten mins later, they started again and once more, I suffered it for a while, but had to turn round to air my pissedoff-ness. Moments later, one of the brain-dead fucks reached over, holding onto my shoulder and said (I love this) – “If they turned it up, you wouldn’t hear me, you can only hear me coz they won’t turn it up” – WTAF ???? Chap, the reason I can hear you is coz you keep bloody talking – simples…. Anyway, with that out of the way, let’s get down to business. The very first gig I went to was Dec 18th 1972. 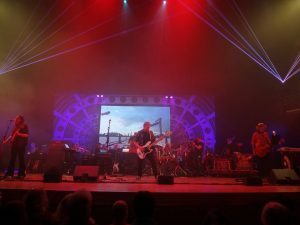 It was at the Civic Hall in W’ton and featured, yes you’ve guessed it – Hawkwind. Back in the early to mid 70s I was a major fan and went to see them every opportunity. This was back in the day when I had hair – long hair and wore afghan coats, patched jeans and stunk of patchouli, a hippie well and truly. 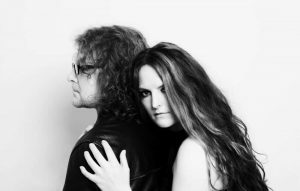 Blackheart Orchestra – A duo from Manchester (but we won’t hold that against them eh ?? ), I have to admit, I’d not come across these before so, as always, was intrigued as I’m forever on a mission to find new, exciting and interesting projects to air on my show. Took to the stage at 8.00pm and between them they use a number of guitars and synths to back up Chrissy Mostyn’s incredibly expressive voice. How can you describe them ?? Well, Kate Bush and Cocteau Twins came to mind so if you’re a fan I seriously suggest you check them out. The music is haunting, mysterious and ethereal, but ultimately tending to fall on the side of melancholy so if you’re looking for music to lift your spirits, don’t bother !! In fact at one point during the set, Chrissy mentions that their music tends to be on the miserable side and if you thought it wasn’t miserable enough, they go on to play probably their most miserable song, just in case there are any people with suicidal tendencies I suppose…. Mood music indeed and impeccably technical and proficient, but not if you’re on a downer !! After a short break and equipment swap, the orchestra arrived on stage followed closely by the current lineup of Hawkwind (those of you who follow the band will know that Hawkwind have had more members than the local library, but we won’t go into details…). Having witnessed their set at HRH Prog a week earlier, I knew what to expect – the only difference this time, a 25-piece orchestra. So did it work ?? 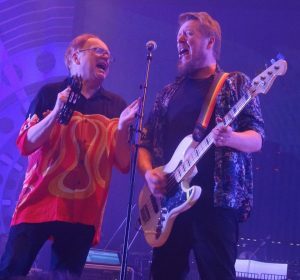 With Mike Batt at the controls (and occasional tambourine & backing vocals), keeping everything on track, I’d interviewed the band at HRH and Dave said how precise they had to be because of the strict time markers dictated by the orchestra, chaos and control in action !! The majority of the set covered what I feel was their most creative period, the 70s (a decade which spawned the classic albums In Search Of Space (first album I bought), Doremi Fasol Latido, Hall Of The Mountain Grill, Warrior On The Edge Of Time etc). Kicking off with Assault And Battery/The Golden Void, but as the set progressed we had Born To Go, Damnation Alley, We Took The Wrong Step Years Ago, a revamped version of The Watcher and so on and let’s not forget, the latest album “Road To Utopia” features rejigged versions of classic tracks – “Quark Strangeness and Charm” with a Mariachi band – sound interesting ??? The encores were Spirit Of The Age and, of course, Silver Machine. Overall, did the orchestra help or hinder ?? There were times when they weren’t used and other times when the resultant mix of “space punk” and strings totally took the track to the next level – Sonic Attack, for example, during which the resultant cacophony was impressive if not overwhelming, a sonic attack on the central nervous system !! During the set there was some light-hearted banter, usually aimed at poor ol’ Richard stuck behind the drumkit and a Perspex screen. Dave Brock poked fun at the fact he may come on stage in a bath chair and generally, there was a good vibe on stage which helped bring the audience in, we are human after all and not androids !! When I first heard Hawkwind were touring with an orchestra, I was intrigued to say the least and having witnessed it all in action, I can honestly say it worked well. 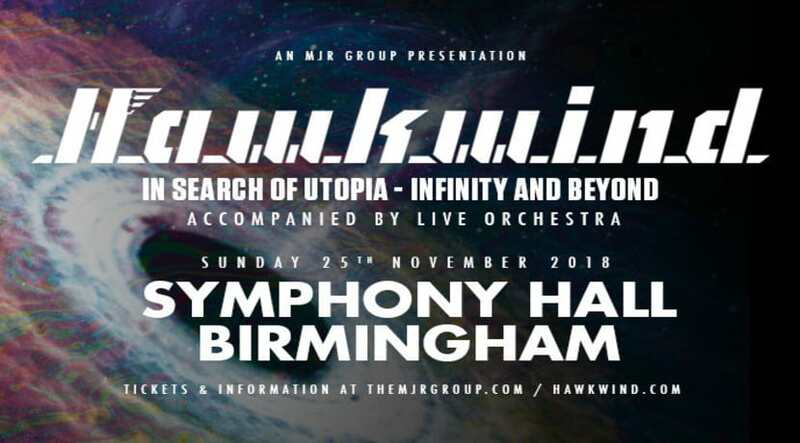 Impressive lasers, superb slides and video running in the background and a wall of sound that blew you out of your chair, despite the aforementioned Piltdowns sitting behind me shouting to the contrary………..
All in a wonderful venue that is the Symphony Hall. An experiment that could have gone horribly wrong, but in the right hands it worked and worked very well, but due to the costs and logistics you may not see the like of it again.